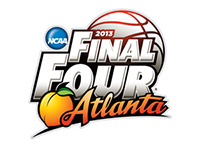 Make 2013 – the 75th anniversary year – the best NCAA Men’s Final Four ever. While tickets to the game are usually sold out well in advance, c21’s job was to provide the most up-to-the-minute information to local residents and visitors, build fan engagement, drive increased attendance to the events surrounding the games and migrate local fans and followers to the NCAA’s official March Madness national platforms at the event’s conclusion. The true challenge came in convincing the NCAA to allow the local host to create and manage a hyper-local social media campaign – a first for the NCAA. c21 presented the NCAA with recent examples of locally run social media programs, including the 2012 Super Bowl in Indianapolis. As a result, the NCAA granted approval and c21 created and launched a social media plan, which included the NCAA’s first social media street team. The street team consisted of ~35 volunteers who were armed with official sponsor AT&T donated smart phones and Final Four-related giveaways to encourage social media engagement through Final Four weekend, and downloads of the NCAA first-ever mobile app. c21 managed the social media command center, which monitored conversations and posted answers to fan and visitor questions throughout the weekend on Facebook and Twitter, as well as provided guidance to the street team members. The command center also managed potential crisis messaging when Centennial Olympic Park reached capacity and closed just before the Dave Matthews Band appeared at the Big Dance Concert Series. We worked closely with the Final Four media relations committee to interact with local media outlets and reporters via Facebook and Twitter. The social platforms provided another route for reporters to get their questions answered and provided them with up-to-date information on events and scheduling. The platforms also were used to secure media coverage of Final Four fan and media events as well as community initiatives. Finally, c21 ran geo-targeted online ad campaigns on Google, Facebook and Twitter to increase web and social traffic. In six months, Twitter @FinalFour (twitter.com/finalfour) garnered 4,025 followers. The Final Four Atlanta Facebook page (facebook.com/finalfouratlanta) garnered 6,849 fans. Facebook interactions grew from only 88 in January to over 8,700 in April, and the contests we ran on Twitter garnered 2,000 entries. From an event attendance perspective, we exceeded all our goals and surpassed the 2012 NCAA Men’s Final Four in New Orleans.